Contemporary, modest and super functional! 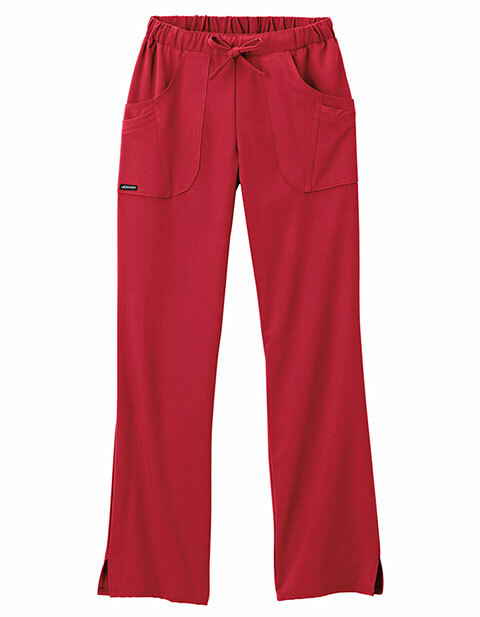 The Jockey® Classic ladies next generation comfy pant gives a flattering silhouette with great comfort. It features a full elastic waist design with drawstring closure for a tailored fit while multi-pockets in front make it efficient for your workplace needs. Moreover, you are destined to feel at ease with vented leg openings and slight flare leg.